I have seen many beginners make Userbars, and they have been doing things wrong, so here I am to make a guide on making Userbars. 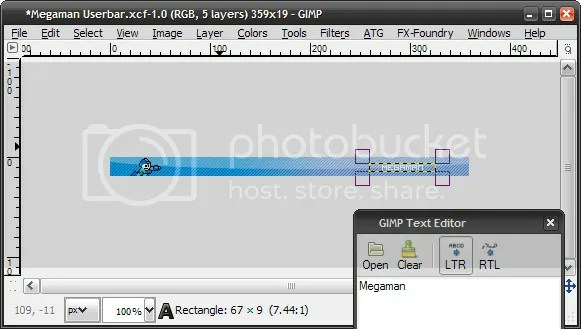 Not only will I teach the basic steps of making Userbars, but I will cover color choice, sprite choice, etc. Here are the basic steps of whipping up a Userbar. 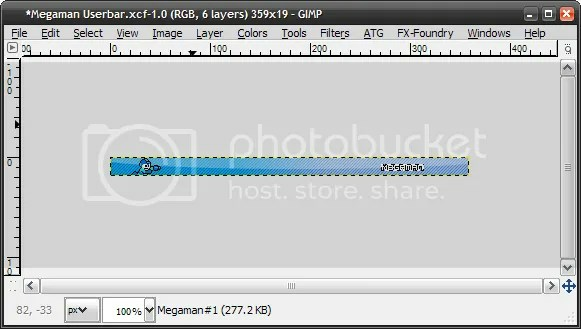 Use the blend tool to create a gradient with two colors of your choice. Now duplicate the Text Layer and move the copy under the original. 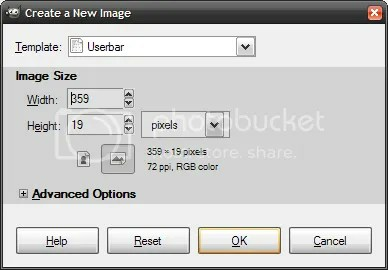 Go to [font=Courier]Layer>Layer to Image Size[/font] then [font=Courier]Layer>Transparency>Alpha to Selection[/font]. Now go to [font=Courier]Select>Grow[/font] by 1px. Now use the fill tool on [font=Courier]Fill Whole Selection[/font] and fill the selection with the opposite color of your text color. 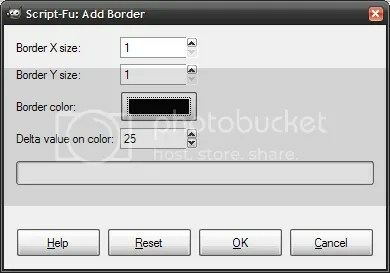 Now go to Filters>Decor>Add Border with the X & Y size to 1px and the color as black. Userbars may seem simple, they are, but there are things that make your Userbar good or bad. One of those things is Color Choice. Notice that the Red/Black one doesn’t look as good as the Blue/Lighter Blue one.